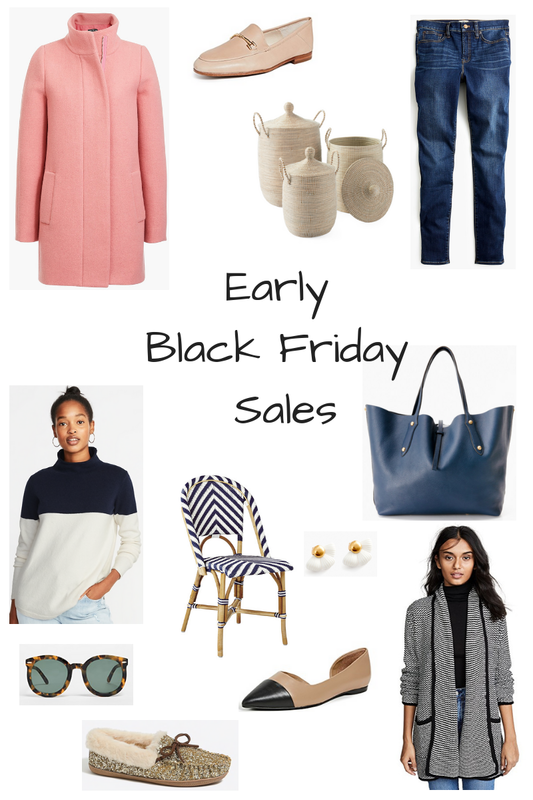 There are so many early Black Friday Sales this year! I think most retailers realize that people are over the crazy rush of in person Black Friday sales and would rather shop online and enjoy their Thanksgiving holiday with family and friends! So cue the early Black Friday sales that started this week. I rounded up my favorite retailers below and the discounts are so good! It's going to take a lot of self control not to buy it all. Are you shopping Black Friday sales? Do you prefer online or in store? Do you usually shop for yourself or for Christmas presents?